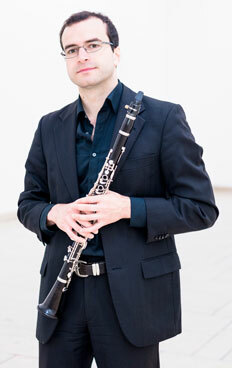 Andreas Lipp has been solo clarinetist of the Staatsphilharmonie Nürnberg since May 2017. He was awarded a scholarship at the 2016 German Music Competition and took part in Germany’s National Concert of Young Musicians during the 2017/2018 season. In 2012 he won First Prize at the International Clarinet Competition in Freiburg im Breisgau. Raised in Wertingen, Bavaria, Lipp completed his studies with Norbert Kaiser in Stuttgart and Martin Spangenberg in Berlin. He has been a scholarship holder of the Orchestra Academy of the Berlin Philharmonic and the German National Academic Foundation, and has performed as solo clarinetist with the Deutsches Symphonie-Orchester Berlin, hr-Sinfonieorchester, and Staatskapelle Dresden.